So far we have discussed the basics of Web services. In the just previous chapter we have seen an example in JAX-WS.This chapter would give a simple JAX-RS Tutorial. REST is well suited for PDAs and Mobile Phones . Using SOAP Web Services in such low profile devices is obviously an overhead. Since there is no formal web service interface definition , there should be a mutual understanding between the service and the client regarding the data being passed along. 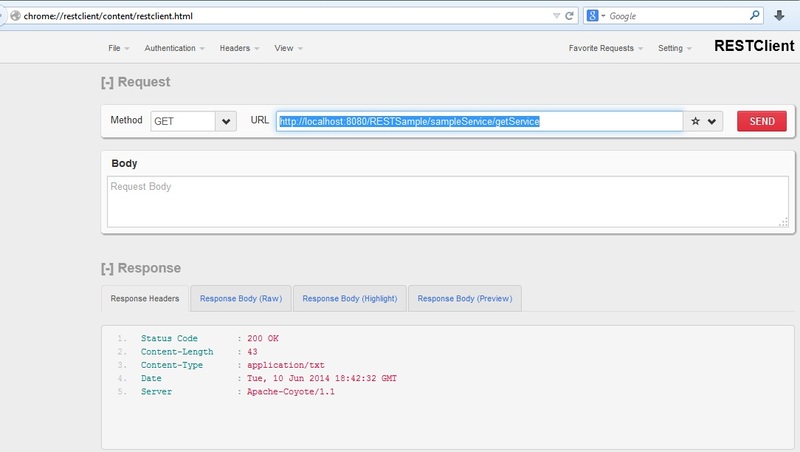 RESTful Web Service exposes a set of resources .Clients can identify these resources using URIs. 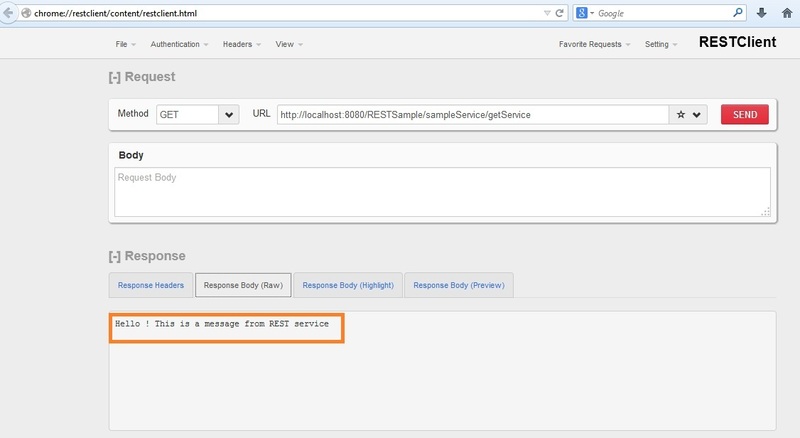 Now let us see a sample RESTful web service. 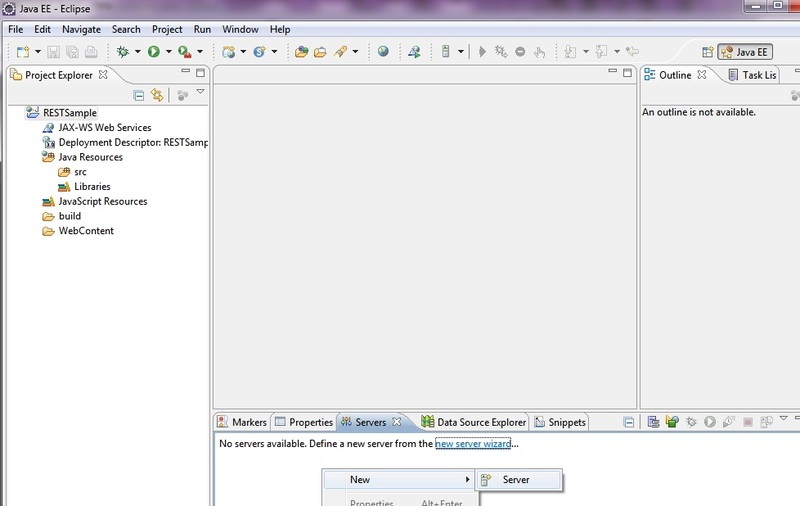 1)Extract eclipse and Tomcat to suitable directories.Open eclipse in a suitable workspace. 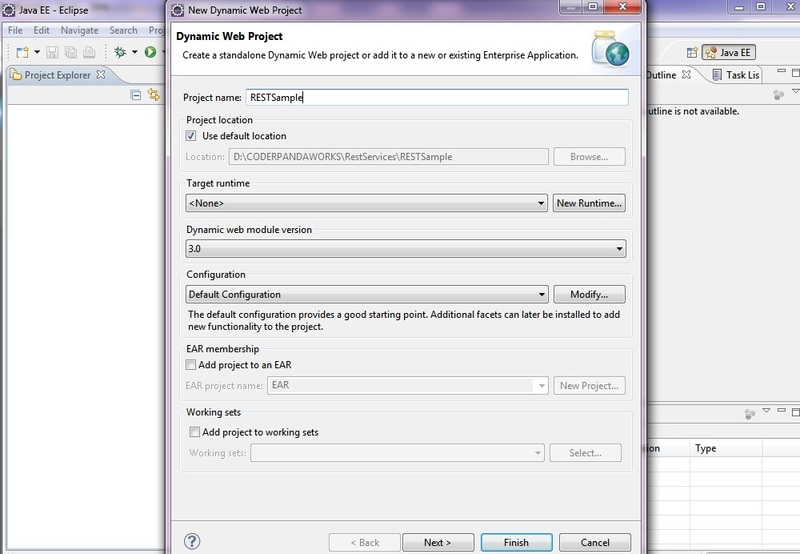 2)Now create a dynamic web project in eclipse . Give a suitable name.In this case let it be RESTSample. 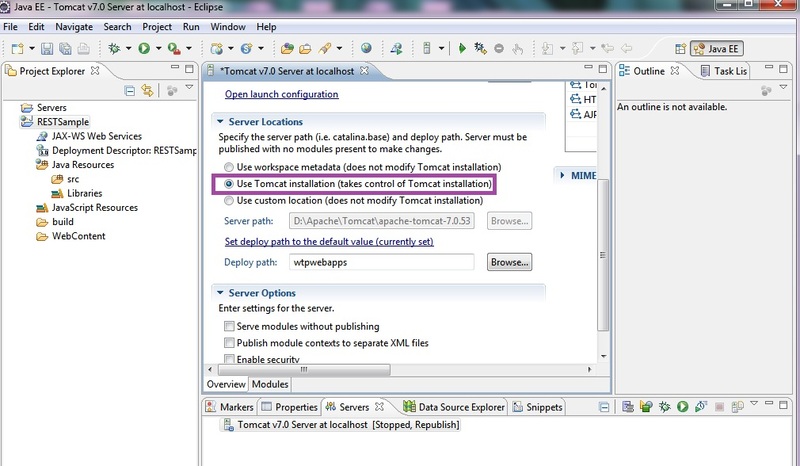 4)Now right click in the server console and create a new Tomcat instance. 7) Now download RESTEasy API from sourceforge. In this example we are using version 3.0 Final. Download it and extract it to suitable folder. 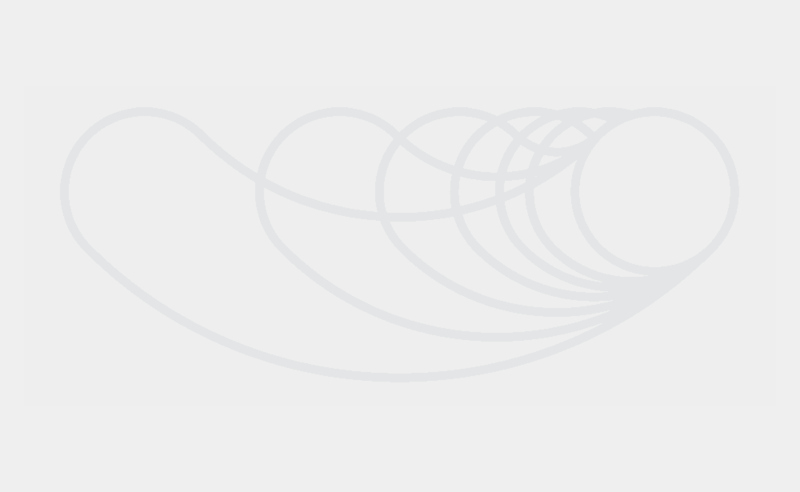 Take the jar files from the lib and embedded-lib directories . Then put those jar files in WebContent/WEB-INF/lib directory. 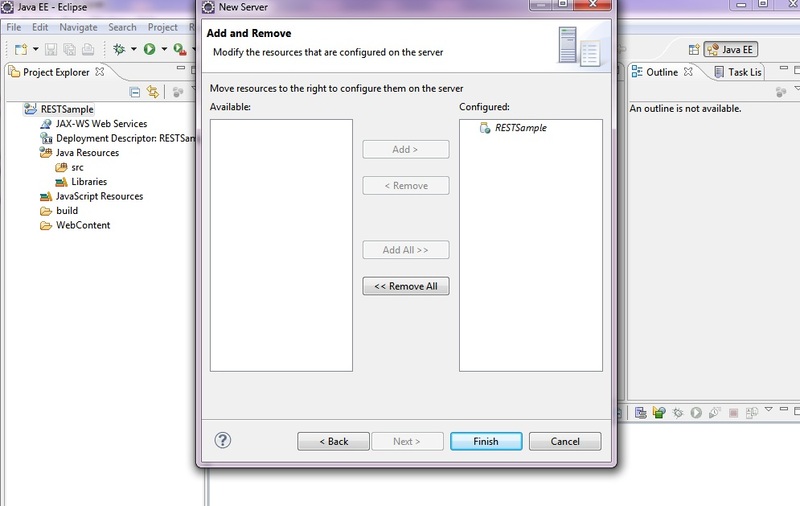 9)Now create a Java file in the newly created package.To be simple , we can discuss a GET service which returns a String message when an http request hits. 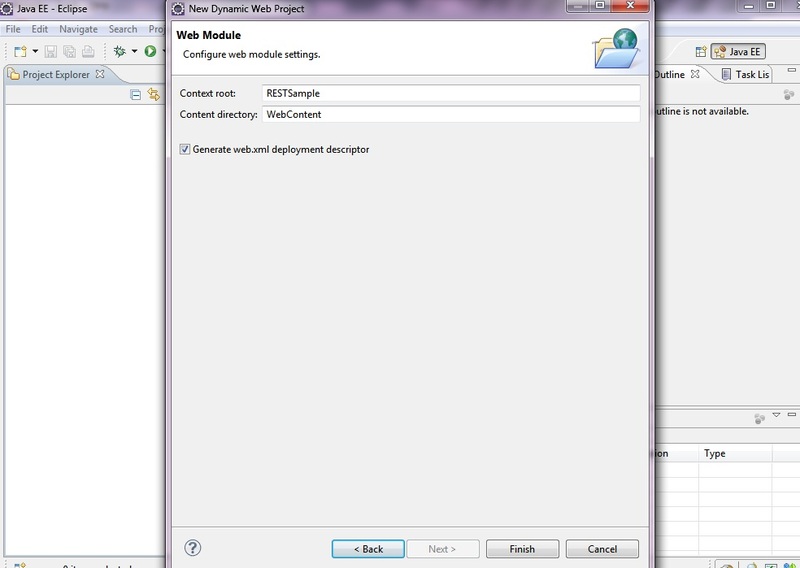 10)Now edit the web.xml file in the WebContent/WEB-INF directory. 10)Now build and publish the application to server.Then start the server.If an error ‘No class def found error : javax/enterprise/context/spi/Contextual’ then remove the resteasy-cdi jar from the lib .Then rebuild and republish. 11)So the server is started.Now we need to test the locally deployed rest service.For that we can use REStClient plugin of Mozilla Firefox.Download it from Mozilla update site. 13)Now Press the send button. 14)If we click on the Response Body tab in the RESTClient we can see the response string message. I have followed every step as described below but still getting 404 error,actully i have tried with jersey too but i am getting the same error,,please help me stucked in this problem from 3 days. Even i have followed each and every step,still even i am getting 404….please do help me! Hi! !… did you get the solution?